What great team of professionals that provide Realtors with useful information on builder inventory, up and coming communities and events! They make it fun for us too!! We love working with Builder Boost Austin! Matt and Kim are amazing and a wealth of knowledge! Updated information on the locally available homes! Builder Boost is a great resource for Real Estate Agents selling New Builder Homes. Such an amazing resource to have as an agent to better serve my clients. Love the accessibility at my fingertips especially when I’m in the go. Builder Boost is an amazing resource for agents! It has saved me time when looking for new builds for clients and has truly helped bridge the gap by connecting me with builders in areas that are new to me. Builder Boost is such a great resource! They make staying on top of new communities, builder incentives and available homes so much easier! Builder Boost is a great resource for realtors with clients looking for new construction homes! They keep me up to date so I can provide the best service for my clients! Builder Boost is an amazing program that helps us agents find the best properties for our clients. It allows us to give the best possible service. The concierge service is phenomenal as well as their customer service. Builder Boost is the perfect liaison for real estate agents and builders. I have been able to more quickly fit my buyers' needs and find what they are looking for through this resource. I have also been able to establish relationships with local builders and get plenty of information on what each has to offer my clients. I love Builder Boost! It’s a great way to get out there to see amazing new inventory and meet the sales representatives. Thank you for all you do! BUILDER BOOST"s knowledge of the builder inventory, updated information and builder contacts is exceptional. They offer events to link agents and builder reps and offer social media courses. I am more knowledgeable of new construction communities than ever since I found BB.. Builder Boost is a great way to know what is available in new construction. A great way to keep up with what is happening and available in new construction. It is an invaluable tool for Realtors. Builder Boost has been a great resource for me as an agent in making it easier to be in the "know" of all the different new home communities around town and also getting to know the builders and their products better. I'm glad I found Builder Boost and will continue to use them when my clients are looking for property. I love Builder Boost! The concierge service, support and Missions are all amazing. I think of BB as my go to source for information on new builds and all new construction communities. My experience with them has been amazing! Builder Boost is a great way to keep up with the latest communities! 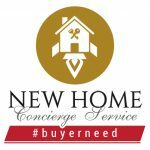 Selling new homes is a great for so many reasons! Thank you Builder Boost for all that you do to help us be more successful! Thank you Builders Boost for your amazing support- I am able to continue to help my clients exceed expectations in the Leander/CP/North Austin market while still keeping apprised of what is happening in Dripping Springs. Matt is fantastic at connecting the dots for agents new to Builder's Boost , I am a big fan!! Incredible company with a positive mission in their work! Builder Boost is a great opportunity for Realtors out there that are getting started or just needs more business. Use them fellow Realtors. Builder Boost is a great resource for agents! We’re able to keep up with new builds and learn about communities!! Thank you so much Builder Boost for all that you do! You all have been a big help to me! Such an incredible resource and an amazing group to work with! What an excellent resource for everyone in the industry! Builder Boost is one of the best resources as agents we can have at our fingertips for all the whereabouts and growth of the new communities... Thank you Builder Boost for all that you do for Realtors! What a fantastic tour of Siena hosted by Builder Boost. They offer an outstanding service as I am always on the look out for new communities. Thanks guys. I appreciate you. Quality event with excellent customer service. Best platform for building relationships and connecting Builders and the Realtor community which better serves potential buyers in the market for a new home! Builder Boost offers a a great service to Realtors and those looking for new home communities. The tools they provide are truly invaluable and such a help when presenting new construction to clients. I highly recommend Kim and Matt with Builder Boost and look forward to collaborating with them in the future! I love Builder Boost! It's the first resource I go to when my clients want a new home. Outstanding Service and very personable. Social Media at it's finest. Fresh Ideas on how to service the Real Estate Community. Love Kim and Matt and Kelley! So wonderful to tour with them and attend their events! Add them on your Facebook! | than hearing how happy we make you!